Michel al-Maqdissi, was born in Paris on June 24, 1960, spent his youth in Damascus (Cha’lan Street) surrounded by the Library of his father Antoine Maqdissi which includes a large collection of philosophical and literary books. His life changed when he participated with Adnan Bounni one of the pioneers of the Syrian Antiquities, in three major projects (Ras Ibn Hani and Ras Shamra-Ugarit and Tell Hariri Mari). And immediately (1980) began his career and joined to work within the Career Level in Department of Excavations and Archaeological Studies at the Direction Générale des Antiquités et des Musées de Syrie. Obtained in 1983 a Bachelor of Fine Arts at the University of Damascus, and then in 1994 won a doctorate from the Sorbonne University in the Oriental Archaeology under the supervision of Prof. Jean-Louis Huot, and titled « La production céramologique du Levant Nord au Bronze moyen durant la présence amorite ». He taught the Oriental Archaeology and Phoenician civilization for more than twenty years at the University of Damascus and at Université Saint-Joseph in Beirut. In 2000, he became Director of Excavations and Archaeological Studies at the Direction Générale des Antiquités et des Musées de Syrie. During more than ten years, he steered the Syrian policy towards a scientific archaeological opening by applying a vision of international collaboration. In 1984, he directed his first archaeological mission in southern Syria in search of traces of the Amorites movements in relation to the APUM country. A few years later, he began two important archaeological projects Tell Sianu (1990) and Mishirfeh-Qatna (1994) in order to study the nature of the Syrian cities during the third and second millennium BC. He conducted several important archaeological sites including Palmyra, Ras Ibn Hani, Tell Shamiyah, Tell Sh’eirat, Damascus Citadel, Tell Iris and Tell Toueini. From 2002 he collaborated with the French archaeological mission of Ras Shamra-Ugarit to publish the ceramic material came from old archeological excavations. Currently, his work focuses on scientific publication of a summary of the archaeological work at Phoenician site Amrit in Syria at the same time, was commissioned by the Louvre as (chef de project) to work on the Publication of archival material reported by R. du Mesnil du Buisson of the central region of Syria between 1924 and 1930 and also to study the material from Palmyra between 1965 and 1967. He published his archaeological research in three main series of products: Notes de Céramologie Syrienne (six items), Notes d’Archéologie Levantine (forty articles) and Matériel pour l’étude de la ville en Syrie (five items). He founded an archaeological newspaper in Damascus (Studia Orontica) and a collection (Documents d’Archéologie Syrienne) to disseminate the latest scientific research in several languages (Arabic, French and English). In 2008 and during the events of Damascus Capital of Arab Culture, he preparing for an exhibition on the historiography of Syrian archeology in collaboration with several colleagues, to development the Syrian Antiquities since the first missions in 1860 to foundation of Service des Antiquités (Pionniers et protagonistes de l’archéologie syrienne 1860-1960, d’Ernest Renan à SélimAbdulhak, Damascus, 2008). In 2008, he founded, the Centre Syrien de la Recherche Archéologiquedans la Vallée de l’Oronte in the city of Homs to save and protect all the documents relating to the archaeological excavations in central Syria. 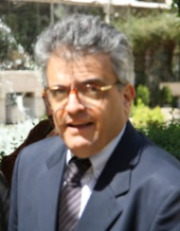 A regular contributor to the publication of his articles in the magazine: Syria and Annales archéologiques Arabes Syriennes and had a positive impact on the Syrian archaeological research and in particular the development of the human role in the concept of archeology(Archéologie et Humanisme, essais syriennes, Damascus, 2012). He also is one of the Personalities who are interested in literature, and ethno archaeology and music. He has published a series of poetry that draw nostalgic exciting life of an archaeologist (Petites histoires de Qatna, Damascus, 2010).